Havent been around for a while as I have had so much on. Last week was WeMake christmas on the Kings Road in Chelsea which was a great day, lots of people and lots of amazing designers. 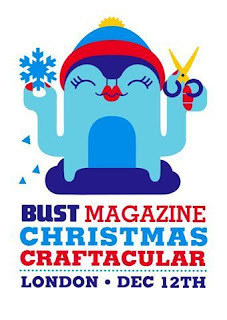 This week I am preparing for Bust Christmas Craftacular at York Hall in Bethnal Green. I did the Summer event which was great fun so would definatly recommend coming along for the day. Also if you want to buy online remember that there is only 10 more days left before my last shipping day in the UK, so better get a wiggle on.